In previous years I’ve made my stain glass biscuits as xmas tree decorations. For a change this year I’m going to do candied fruit decorations, as shown in BBC Good Food Magazine Xmas 2014 p112. Cooking apples get sliced tin with the mandolin, and large oranges get sliced up by hand. These go on baking sheets and into a 120C fan oven for an hour to dry out, flipping over half way through. 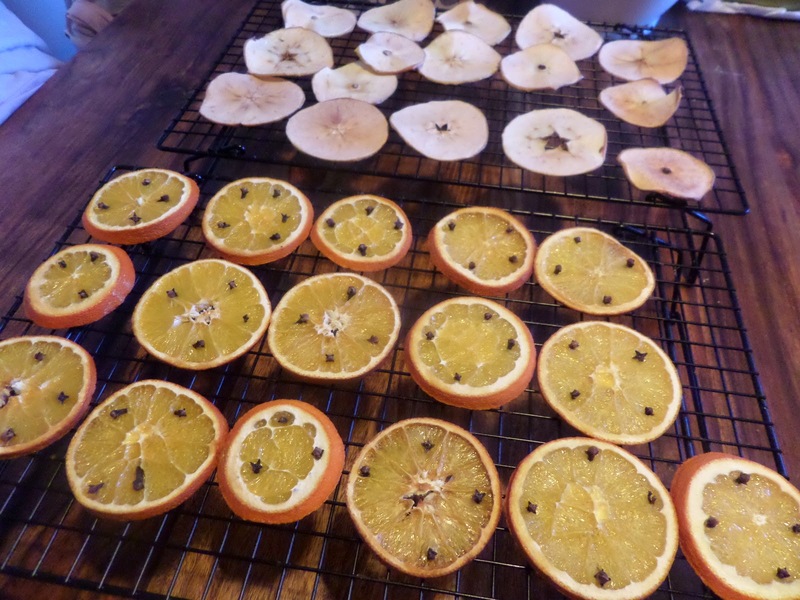 That was fine for the apples, but the oranges took another 30 minutes. 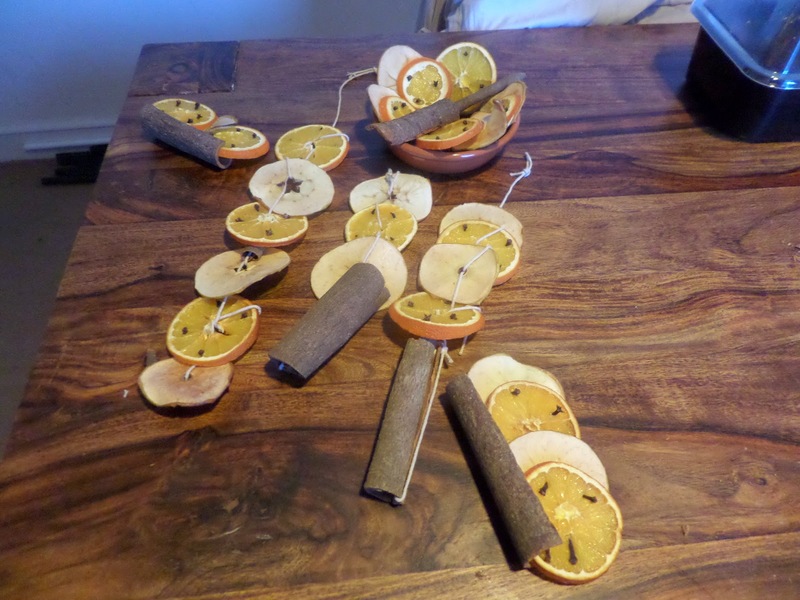 They then get studded with cloves, and hung on string with cinnamon sticks to make the decorations. Urg… Lacing them up onto string is a right faff, and they don’t look that great. Stick to putting them in bowls and lining huge cinnamon sticks with them: they look better and you get the same lovely xmassy smell.